Many years ago while hitchhiking across Canada I had a conversation with Doubt one day in the wooded seaside of Salts Spring Isle. After an hour or so of conversation about the purpose of doubt I accepted a challenge from this spirit that it would teach me more of this world through doubt then through faith. So over the past ten years I have listened, fought, played with and ignored Doubt. It was a constant stress to have this challenge but an important one for sure. 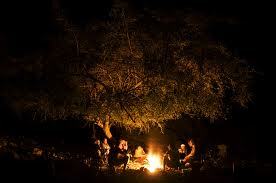 After all these years with Doubt in my head one of my helping spirits suggested that we invite Doubt to sit at our sacred fire and have a discussion about its place in my life. I journeyed many times and had many discussions with this spirit and Doubt. After a lot of talking it was agreed upon that Doubt would hold a place in my world freely but only on the condition that it listen and respect all aspects of my spirit world. Doubt is to have a voice in any conversation it chooses to be important but not in all and every conversation.